In order to get new business to the area around Vermont Yankee, the area needs incentives, not further industrial sites. The existence of a decommissioned Vermont Yankee site will not attract an employer. In the nineteenth century, and even up to World War II, the Northeast was a manufacturing powerhouse. Since then, industries have been leaving the area. In Vermont, there are far more industrial sites than businesses that want such a site. If you live in the Northeast, you know this. There are hundreds of sites in Vermont, Massachusetts and New Hampshire that used to be industrial sites-- until the industries moved away. There are mills that have been turned into art galleries, and there are mills that are just decaying in place. People talk about the "old Georgia Pacific site," or the "old gear factory." And so forth. Getting the Vermont Yankee site ready for a new business will do absolutely nothing for the economy of the region. Having one more site available is not going to attract a new employer. Also, it is a nuclear site. A few days ago, Terri Hallenbeck of the Burlington Free Press wrote an excellent article about the fate of decommissioned nuclear sites: A Future Use for Vermont Yankee? Don't Hold Your Breath. Her article puts the "we need to decommission it quickly" rhetoric in context. In her article, Hallenbeck shows that most of the decommissioned nuclear sites had no further industrial use, though some eventually hosted other power plants (usually gas-fired). The location of these sites usually works against their use as anything except a power plant. Furthermore, the Vermont Yankee site is clearly not attractive for further development. The Hallenbeck article quotes Ray Shadis. Shadis thinks the site should "probably be ... left alone" after decommissioning. He notes the Vermont Yankee site is long and narrow, which is problematic (for further development). Despite all the fuss about "decommission it promptly," the Vermont Yankee site is unlikely to attract another employer to the area. I will also note that many of the people who are most eager to encourage "prompt decommissioning" don't live in Windham County. They live in Massachusetts, and they live in Maine. They will not be affected by the employment situation in southern Vermont. Their rhetoric shows their hatred of nuclear power far more than it shows any care for the economy of the region. This is the third in a series of blog posts about various aspects of Vermont Yankee decommissioning. A confession: I am not immune to believing a statement if it is repeated often enough. 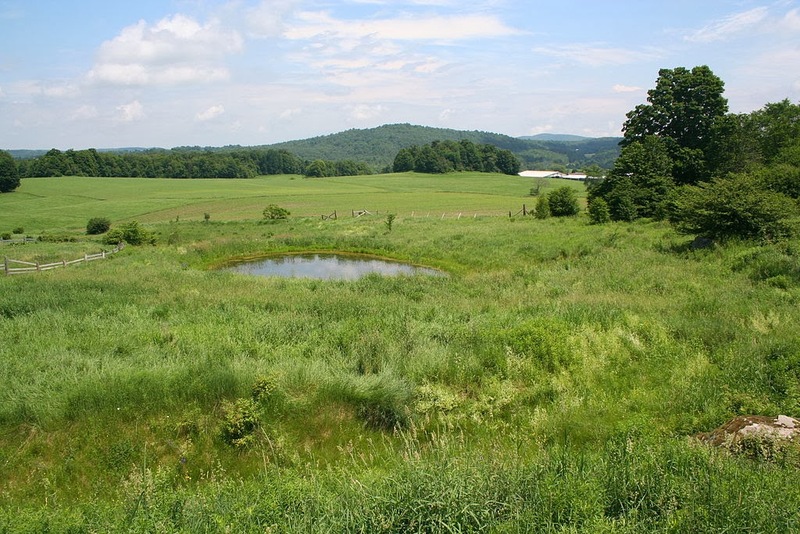 Among the conditions sought by the state is a $60 million fund to ensure that the Yankee site in Vernon be returned to “green field” status, so it can be used for further economic development. Many plant opponents have made similar statements: "Extra money is needed for greenfielding so the site can be used for economic development." increase the cost to Entergy. increase the time required for decommissioning the site. not increase how attractive the site will be to a new industry. Remember that next time you hear talk about the necessity of extra money for "greenfielding" to ensure "economic development." This is the second of a series of posts about Vermont Yankee decommissioning. The first post was about negotiations The Formal Negotiations: On Decommissioning Vermont Yankee. After some preliminary reports that "negotiations between Governor Shumlin's administration and Entergy would be held," we finally have a report that one such meeting was held. Dave Gram of Associated Press reports that Governor Shumlin, Attorney General Sorrell, Department of Public Service Commissioner Recchia (and perhaps others) are meeting with Entergy. The group plans to prepare a "global agreement" on decommissioning issues. They have met at least once, and they plan to meet again in early December. Since these "issues" are actually not "issues" but facts, I think the Shumlin people are actually just getting a briefing from Entergy. This doesn't sound like a "negotiation." If it is any kind of negotiation, I wish the plant the best of luck. I think that Entergy may want a global agreement. But sound bites may be planned. I also think that Governor Shumlin will prefer having sound bites to having an agreement. Okay, okay, I am judging Shumlin by his past words and his past actions. He may have changed. I believe that people can change. I will have to wait and see if Governor Shumlin has changed. For the sake of my friends at the plant, I hope Shumlin has changed! However, if Shumlin begins insulting "Entergy-Louisiana" in the near future, please remember that you read it here first. I trust – and I hope I am justified in this – that no one wants a nuclear war. I know I don’t. We already have a set of environmental problems that are worse than a limited nuclear war, and may be facing an environmental crisis that might be as dire as a large scale nuclear war, specifically, a collapsing atmosphere. Adding a nuclear war to our list of problems – to vastly understate – is, um, undesirable. We should therefore, and must, do everything we possibly can to prevent nuclear war. The world at large learned of nuclear war pretty much at the same time as it learned of the existence of a “new” element, plutonium, about which we now know a great deal more than we did at the time of the announcement. The point of this article is to discuss the psychological and practical relationship of plutonium’s existence to the probability of nuclear war. We now know that plutonium once occurred naturally on earth, but with the exception of a few atoms discovered in California in lanthanide/thorium ores at Mountain Pass by Darleane Hoffman1 of UC Berkeley, all of the primordial plutonium that was once present on this planet is now extinct, although its “bones,” if you will, its ashes, its fossils, remain in many places, notably in our atmosphere as an isotope of the noble gas xenon, but also in fact in many other places on earth, from the crust to the core. Nevertheless, for the record, the mine tailings associated with the wind/hybrid car industry, as represented by milled ore tailings, will prove more radioactive (unless the thorium is removed and fissioned in nuclear reactors) over the long term than the mine tailings of uranium ores, since the processing of the latter removes the radioactive source and ultimately destroys it, whereas the wind/hybrid car industry simply dumps all of its radioactive waste without restriction and without “the public” issuing even a faint whimper of concern about it. Be all of that as it may, to return to plutonium, the first samples visible to the human eye of the fascinating revived element, plutonium, were prepared for the purpose of making war, and this most remarkable scientific achievement was announced to the public at large in the context of announcing a new kind of war, nuclear war, a kind of war that had only been imagined in what was once assumed to be fanciful science fiction, the science fiction of H.G. Wells. Thus there exists a psychological impetus, if not a rational impetus, always to associate plutonium with war, and the fear associated with this element has often caused its name to be written or spoken after adjectives like “deadly” and “dangerous” though plutonium need be neither of these things. In practice, though considerable inventories of it exist, plutonium is seldom either deadly or dangerous – indeed many lives have been saved by plutonium - but, as it is not new to tragedy that fear is often more powerful than reason, and thus this questionable and unfortunate association continues. I have thought in my long lifetime a great deal about plutonium, and now will set out to address this association of plutonium and war, an association that has caused many people to suggest in all kinds of contexts that we should seek to avoid this element, avoid making it or using it, for fear of nuclear war, even though, I suggest, the element may prove to be the last, best hope for humanity in its increasingly failing efforts to stabilize its environment. With respect to the particular issue of war, I will thus now advance the thesis - it may seem counterintuitive given common parlance for more than half a century - that the best route to minimizing the risk of nuclear war is to make more plutonium, not less of it. When Hannibal crossed the Alps – although he could not have known this – nuclear war was possible. Later, when Julius Caesar conquered Gaul, nuclear war was possible, as it was when Alaric I sacked Rome, indeed as it was when Henry IV fought at Agincourt, as it was when Washington took Yorktown. Nuclear war was possible when Ulysses S. Grant captured Fort Donelson, also when he captured Vicksburg and also when he captured Robert E. Lee and his army at Appomattox. Nuclear war was possible during the Battle of the Somme, and it was possible – and for the first time was understood by some to be so – when Japan attacked Pearl Harbor, this in an unwise effort to protect its flanks as it drove for the oil fields of Java and Borneo, thus commencing the oil war that would also prove to be the only nuclear war that ever took place. When the Nazi general Paulus drove on Stalingrad in hopes of reaching the Caucasian oil fields at Baku, preparations for nuclear war were well underway, and by the time of the American obliteration of the city of Tokyo in March of 1945 using petroleum and biomass (nitroglycerine, palmitic acid and nitrocellulose) derived weapons of mass destruction, nuclear war was no longer merely possible: It had become inevitable. We know that nuclear has always been possible since nuclear war has been observed. Nuclear war has never been impossible, nor is likely that it ever will be impossible, since uranium exists. There is no human technology, not even its consumption in nuclear reactors that can ever consume all of the uranium on earth. If we note that the upper mantle constitutes about 10% of the mass of the earth, generally taken to be about 5.97 X 1024 kg, and allowing for the decay of uranium since the formation of the rock, the value given in reference 2 for the uranium content of the mantle 4.5 billion years ago, 0.0117 ppm, suggests that about 3 trillion tons of uranium now exist in the upper mantle, never mind the planetary lower mantle, never mind the outer and inner cores. Moreover the existence of this uranium, along with thorium and radioactive potassium, provides almost all of the Earth’s internal heat, an enormous amount of heat, the heat that drives plate tectonics and thus accounts for all the earth’s land mass on which the human race evolved. If this planet had not formed containing a vast amount of uranium, neither the text here nor the eyes that read it could exist, since without it, human beings would not exist, and not existing, would be thus deprived of their ability to fear their own extinction. As a result of the heat generated by the decay of uranium, thorium and radioactive potassium – said heat dominated by the former - all of the layers of the earth experience convective flow and we may presume – we know this to be true for the mantle-crustal interface – elements exchange between layers as if the each of planet’s layers were continuous extraction devices. The energy content of the uranium in upper mantle, were it converted to plutonium and fissioned – the heat it generates comes not from nuclear fission but from the far more inefficient process of alpha decay - is roughly equivalent to the energy output at current levels, 520 exajoules per year, to about a trillion years of human energy consumption, although neither humanity nor the planet will survive that long. A little less than 5 billion tons of this uranium, at little more than 0.1% of what’s in the Earth’s upper layers, has leached into the earth’s oceans, limited only by the solubility of uranium in seawater. Any attempt to remove this oceanic uranium would be futile, again, since volcanism and weathering of crustal rocks continuously cycles mantle and crustal uranium to the oceans. Seawater is thus probably the most sustainable resource for supplying uranium indefinitely. The cost of recovering uranium in this way – for a single use resin - has recently been estimated10 to be between $1000/kg and $1400/kg, about 15 times as much the current market price from terrestrial ores. For resins that can be used for six cycles, the price is lower, around $300/kg. (In familiar energy/cost terms, the higher figure is the cost of fuel equivalent of gasoline at 0.002 dollars per gallon because of the extreme energy density of uranium: Raw material fuel costs are a trivial component of the cost of nuclear energy.) One would therefore expect uranium from continental mines to remain a cheaper route for generations to come, but the point is this: For a few million dollars, any nation with access to the ocean could acquire sufficient uranium to make a nuclear weapon using well understood separations chemistry. There really isn’t much mystery in this. The scientists and engineers who achieved turning the 1941-1945 US-Japan oil war into the first and only nuclear war had natural uranium and only natural uranium as the starting material: Ironically in 1940 much of the world supply of the isolated element was being stored for use in the glaze and glass industries in a warehouse in Staten Island NY; this was the relatively small quantity used to start the Manhattan Project work. It would have been nice, as an aside, if the US-Japan oil war, a sub-conflict of World War II - the only nuclear war ever observed - was also the only oil war ever to be observed, but alas, that was not to be. Every war fought in modern times has been an oil war in the sense that all modern wars rely on petroleum diverted to weapons use, and, in addition, as we know, many of these wars were fought because of the politics of oil and/or to obtain or control access to oil. (By way of contrast, no war has ever been fought to get access to uranium.) Cities and towns destroyed or severely damaged by petroleum diverted to make weapons of mass destruction include, but are not limited to, Tokyo, Hamburg, Dresden, Frankfurt, Berlin, Nagoya, Haiphong, Rotterdam, London, Coventry, Baghdad, Guernica…we could spend hours making a complete list. But to return to the question of nuclear war - the only kind of war that people ever seem interested in preventing - I note again that the first nuclear weapon ever to be dropped on a city, Hiroshima, did not require the construction of a single nuclear reactor. It was made from natural uranium, processed using coal powered electricity and hydroelectric power to run a gaseous diffusion plant in Tennessee to separate a single isotope in natural uranium, 235U, which was then used to construct the bomb in question. Despite this fact, no one has ever proposed the banning of hydroelectricity or coal fired power plants (or any other form of electricity) to prevent nuclear war. The scientists who built the uranium weapon were so confident in its performance that they didn’t even bother to test it; its first test being on the city it destroyed. The first nuclear bomb ever detonated – this famously took place in New Mexico – as well as the second, and last, nuclear bomb ever used in the only nuclear war relied on plutonium, which was produced in a nuclear reactor – a reactor designed and built solely for the purpose of making nuclear weapons – using natural uranium as a starting material. Because of plutonium’s rather strange properties, represented by the fact that it has more allotropes than any other element, the scientists did need to test their plutonium weapon – to make sure it worked, as it was a far more challenging device to make – before they used a second plutonium device at Nagasaki. Although nuclear war can never be rendered impossible, humanity can engage, by various means including, but not limited to, political means, in the minimization of the probability of additional nuclear wars, something it obviously has managed to do successfully: The first nuclear war, which took place more than half a century ago, has not been followed by a second nuclear war. Nevertheless, humanity spent much of the last century manufacturing tens of thousands of nuclear weapons in various countries around the world, preparing for a nuclear war or nuclear wars that thankfully never came. It is, therefore, maybe, not a good idea to be too glib about the matter. The construction of these nuclear weapons, their manufacture, has provided a large inventory of very high grade nearly isotopically pure 235U - isolated from natural uranium - as well as inventories of nearly monoisotopic plutonium, 239Pu, roughly 300 MT. This nearly pure 239Pu is known as “weapons grade plutonium” and has been specifically prepared, often at great expense, for that purpose - the manufacture of nuclear weapons -usually using specialized reactors designed to make it in relatively pure form. Weapons grade plutonium is much more expensive to make – and has much higher external (environmental) costs than other grades of plutonium, since the uranium (238U) from which it is made must be irradiated only a short time to prevent the formation of 240Pu: Thus weapons grade plutonium is found in irradiated uranium in low concentrations, causing the need to dispose of large amounts of byproduct and unreacted material that is not usable in nuclear weapons. This has caused the generation of huge amounts of byproducts of nuclear weapon manufacture to accumulate in places like Hanford in Washington State, as well as in various sites in the former Soviet Union and elsewhere. The inventories of the weapons grade (fissionable) nuclear materials produced at Hanford and elsewhere are quite stable. Without human intervention, they will not go away at least not in the lifetimes of any human now living. Nevertheless the inventory of weapons grade nuclear materials on the planet as a whole is somewhat less than it used to be. In the late 1990’s former Vice President Al Gore worked closely with the Russians to negotiate the dismantling of some of their nuclear weapons – the uranium fueled versions – thereafter mixing the resultant highly enriched 235U with so called “depleted uranium,” 238U, to make “low enriched uranium”, which was then sold to the United States, where it was used to manufacture fuel used in nuclear reactors to generate electricity. Much of the nuclear power generated in the United States in the last two decades has been generated by burning uranium that was formerly a constituent of the nuclear weapons once aimed at the heads of Americans. This was called the “Megatons to Megawatts Program,” and it was a wonderful idea: We should do more things like that. The Russians at the time of the negotiations needed the money, so everybody won: The Russians made a few bucks, the probability of nuclear war was reduced via the reduction of weapons inventories, and the United States was able to produce clean nuclear energy without engaging in very much uranium mining, uranium enrichment or any other questionable enterprise that would involve additional external and internal costs, although truth be told, the external costs of nuclear energy are trivial when compared to everything else. Thus the nuclear power enterprise has already worked to reduce the probability of nuclear war. If there were no nuclear power reactors, it would have not been possible to destroy – for eternity – the isolated uranium, at least not without the added incentive for one holder of such weapons grade uranium (nearly pure 235U) of allowing them to get some cash for agreeing to its peaceful consumption. But we could even do better. The Russians wanted to sell us some “weapons grade” 239Pu forour reactors too – even though their scientists correctly thought that fissioning this isotope in a thermal flux was wasteful and silly, as fast reactor use of this material would be superior for the conservation of nuclear resources – but even that proved to be politically impossible: There was too much fear and ignorance in this country about “MOX” (Mixed OXide, uranium oxide and plutonium oxide) fuel to allow that to happen. There is another source of plutonium besides weapons factories: It is clear that the use of the world’s largest, by far source, of climate change gas free primary energy, nuclear energy, has provided more than a thousand tons more - in addition to the smaller quantities of “weapons grade” plutonium - of lower grade, “reactor grade,” plutonium, which is a mixture dominated several isotopes of plutonium, 239Pu, 240Pu, 241Pu, with a smaller fraction of 242Pu and even a very small amount of 238Pu. Note that some but not all of the plutonium is burned in situ as it forms, meaning that some of the energy provided by a nuclear fuel rod comes from 238U transmuted into 239Pu. Right now, the majority of the metric ton quantities of residual “reactor grade” plutonium are mostly suspended in used nuclear fuel – although some has been isolated, mostly in France, but also in Britain, India, China and Japan. Some of this isolated plutonium has been fissioned in MOX fueled reactors in Europe and Japan with the result that hundreds of millions of tons of coal that might have been burned have not been burned. Overall though, regrettably I think, in the vast majority of cases represented by the vast majority of nuclear reactors used to generate clean nuclear energy, most of which are “thermal” reactors as opposed to “fast” reactors, the used nuclear fuel from them contains less fissionable material than that which goes into it. Under the conditions in which MOX fuel is utilized, the overall tendency is to consume more plutonium than is formed. There is some irony in the fact that it is this accumulated plutonium, both “weapons grade” and “reactor grade,” which has long been regarded as a threat to the human race, represents a key not only to solving a much greater threat to humanity than nuclear war, that threat being the destruction of the planetary atmosphere, which unlike nuclear war, is continuously observed and which now, in fact, is causing and inevitably will cause more and greater destruction of the biosphere. Be that as it may, I will now argue that plutonium is not only the only tool that can save our pathetic butts from climate change and other environmental disasters, but that, used properly, may also prove one of the very best tools at lowering the probability of nuclear war, although, to beat the horse again, said probability has never been, is not, and never will be zero. Irrespective of my opinion – and I recognize that I am often iconoclastic – decisions of vast import have been made because of the assumption that plutonium always raises the risk of nuclear war. If you think that this remark, “This was a mistake,” lacks scientific precision, or that it is a matter of opinion, I respectively disagree. In fact, converted to plutonium, uranium already mined, coupled with thorium resources already mined and dumped as a side product of lanthanide mining for the dubious enterprises of, among other things, making wind turbines and hybrid cars, would allow the closure of even continental uranium mines now operating for generations, albeit at a marginally higher cost than using current technologies based on mining and enrichment. So as an issue in environmental science, given the huge external costs of all forms of energy mining – certainly not limited to uranium mining - Carter’s decision was a mistake. The rest of Dr. Wishart’s lecture – which made no further reference to political decisions - was quite interesting. Frankly, though, I forget many of the technical details, although I seem to recall that it was about the presence of plutonium electrides – that is plutonium in an ionized state where free solvated electrons exist.11 However much I have forgotten of the technical arguments, I remember the political statement. After the talk I spoke briefly to Dr. Wishart, who told me that he hoped that then candidate Barack Obama would be more sensible than Mr. Carter was on nuclear issues. The association of plutonium with nuclear war is, nevertheless, absurd on its face, unless one is willing to argue that all human technology should be associated with war and abjured. Stone technology has been diverted to war; bronze technology has been diverted to war; iron technology has been diverted to war, woodworking has been diverted to war; steel, coal, oil and even the wind has been diverted to war, and all of these technologies have killed more people than plutonium based warfare ever did. And like all of these other technologies, plutonium technologies have also worked to save lives. Jimmy Carter – and, by the way, in spite of what proved to terrible, awful energy policies I confess that I voted for him twice – argued that by abjuring the isolation of plutonium, he would set a “moral example” for the rest of the world to follow to prevent nuclear war. Although the rest of the world has prevented another nuclear war, Carter’s prescription for doing so, which was largely ignored, had nothing to do with that outcome. Being older than I was during the Carter Presidency, I have a more jaundiced view of people who set themselves up as moral exemplars than I did when he was a President, but in any case, two major industrial nations were unimpressed and went ahead and reprocessed nuclear fuel irrespective of Jimmy Carter’s lectures and his “moral example.” The number of nuclear wars observed as a result of the decision of Britain and France to reprocess used nuclear fuel is zero. By the way, the number of oil wars since Britain and France began to preprocess nuclear fuels in not zero, although no one ever speaks of banning oil, or oil refineries, although perhaps they should, at least on environmental and safety grounds. Although the “reactor grade” plutonium weapons can be made, the level of sophistication required for their construction is significantly higher. Because of the high neutron flux associated with accumulated 240Pu in used nuclear fuel – which appears only at much lower levels in weapons grade plutonium – the assembly of such a weapon would be/is problematic. The neutron flux makes it much more difficult to assemble the weapons owing to the tendency of a criticality accident – particularly if one is interested in avoiding killing the assembler. (US weapons scientists were killed in such an accident in 1946 while assembling a nuclear weapon, this with higher grade plutonium.) Moreover the chemical explosives that are a constituent of all nuclear weapons would tend to be less stable in a weapon with a higher neutron flux. Thus the conversion of weapons grade plutonium into reactor grade plutonium, which is possible by running the former through a nuclear reactor, lowers the probability of nuclear war by raising the difficulty of assembling them and storing them and by reducing their reliability and lifetime. But we can do even better with plutonium. One of the remarkable benefits of plutonium technology that ought to thrill all members of the human race – but perhaps it doesn’t – has been its use in the exploration of deep space in our solar system. The chief isotope in use for this purpose is one that is normally not produced in large quantities in power reactors – although in theory it could be – is 238Pu. This isotope has a half-life of 87.7 years, and it decays by releasing a helium atom (4He) –a helium nucleus moving at very high speeds is called an “alpha particle” – to decay into 234U. This decay process releases a fair amount of heat, about half a watt per gram, and this heat has been used in thermoelectric devices to power many space missions, including Pioneer, Voyager, Cassini, Galileo, New Horizons (on its way to demoted ex-planet Pluto), some instruments on the Apollo missions, as well as on the wonderful SUV sized Mars Odyssey Rover now tooling around Mars. Anti-nuke fear and ignorance has led to a worldwide shortage of relatively pure inventories this valuable isotope; hopefully this shortage will be addressed in the next decade. There are two routes to making 238Pu. One – the one historically most used - uses neptunium, an actinide element that forms in most nuclear reactors. The other starts with americium, also formed in nuclear reactors, particularly those where the main fissionable isotopes are plutonium, i.e. 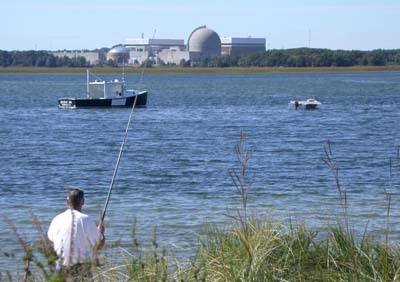 “MOX” fueled reactors. As implied above, for those who don’t know, not every fissionable atom splits when it is hit by a neutron. Depending on the nature of the fissionable atom and the conditions under which fission occurs, there is a known probability that instead of undergoing fission, the nucleus will absorb the neutron thus becoming a heavier isotope of the atom so struck. A parameter representing this probability known as the capture to fission ratio is one of the most important parameters in nuclear engineering. In the current practice of nuclear power generation we are generally talking about three fissionable nuclides, 235U, 239Pu, and 241Pu, although there are many advocates for using a fourth, 233U, derived from thorium. Depending he speed of the neutrons that are inducing fission, whether the reactor is “fast” or “thermal,” each of these nuclides has a nontrivial capture to fission ratio, and will form the next heaviest isotope when a neutron is so captured. If the new isotope is heavy enough, it will decay via β emission to one or more heavier elements. Neptunium, for example, forms from two capture events, one in which fissionable 235U captures a neutron rather than fissioning, to give 236U, an isotope which does not naturally occur and which itself has a very high capture to fission ratio, so high that it essentially does not participate in fission, meaning that when it is struck by a neutron a second capture event takes place to form 237U, which decays with a short half-life (6.75 days) to give 237Np. 237Np is quite stable, its half-life is 2,144,000 years, and small amounts of it are always found in used nuclear fuel that has been irradiated in power reactors. 236U has an even longer half-life than 237Np, 23,400,000 years, making it relatively stable, although not stable enough to have survived since the formation of the Earth. Any 236U that was present (or resulted from the decay of 244Pu) when the Earth formed from the radioactive cinders of supernovae explosions has long since decayed to 232Th. 236U is considered a “parasitic” nucleus, since, effectively, in order to make it into a nucleus that easily fissions, it needs to absorb three neutrons, followed by β- decay in each new nuclide in order to form 239Pu, which is fissionable, but releases less than 3 neutrons when undergoing fission: 236U is thus a neutron “sink.” It’s presence in a putative nuclear weapon requires the weapon, were it operative at all, to be significantly larger in order to obtain a critical mass than one with pure fissionable isotopes, and will also result in a lower yield by soaking up neutrons during detonation. Thus it is more difficult to make nuclear weapons from the uranium in used nuclear fuel than it is to use natural uranium, since uranium in used nuclear fuel contains a new isotope that is not found in natural uranium, 236U, the presence of which complicates the separation of 235U, at least in the commonly used gas diffusion process and the related ultracentrifuge process, in ways that natural uranium does not. In this way running uranium through a nuclear reactor reduces the probability of nuclear war. But we could do better with uranium. But to return to the point of how we could do even better with plutonium, I mentioned above that 238Pu generates significant heat. One can find all over the internet, in many libraries and elsewhere all kinds of information about the structure and design of nuclear weapons: There really is very little mystery about the subject, despite the generalized fear associated with such weapons. Indeed, the training manual given to scientists joining the Manhattan project is available both on line and in print.12 I’ve leafed through it myself; it’s a fun read if only to see how the development of physics concepts as understood in the 1940’s – the statistical mechanics of gases for instance – were applied to neutrons. There are also a large number of scientific papers that discuss the structure of nuclear weapons, and I will discuss one here, by Kessler et al 13, that shows how the use of 238Pu can be used to minimize the probability of nuclear war. In his paper, Kessler defines how the heat (and radiation) generated by 238Pu makes the construction of nuclear weapons increasingly difficult, and he also defines the level of sophistication required by nuclear weapons engineers needed to overcome this difficulty as a function of the concentration of the heat generating isotope, arriving at a concentration figure for this isotope, finally, where effectively no amount of sophistication will suffice to use reactor grade plutonium in a nuclear weapon. He considers three broad classes of nuclear weapons sophistication, low technology, medium technology and high technology weapons designers. The details, which include a rather detailed analysis of what Kessler calls “HNEDs,” (Hypothetical Nuclear Explosive Devices) are contained in reference 13 and the reader is referred to the paper and the references therein for deeper details. One recognizes, of course, that the preternaturally paranoid partisans of the anti-nuclear regimes that are causing the collapse of the atmosphere by appeal to ever more convoluted suggestions of dreamt up visions of nuclear disasters, will imagine ever more complex Rube Goldberg schemes that might circumvent these arguments. In so doing, by appealing to ridiculous fears, they will thus increase the ever growing certainty of a climate disaster that nuclear energy, and, I argue, only nuclear energy can ameliorate, if not prevent. They will continue thus to ignore the fact, however, as stated in this communication’s opening paragraphs that easier approaches are available using seawater and electricity. It is difficult to imagine that anyone would choose a more difficult route to something done more simply, but no matter. There is a big difference between “could” and “is.” Lots of nations, Japan and South Korea and Canada for instance, “could” make nuclear weapons – they certainly have the technical expertise to do so, having “high technology” nuclear infrastructures - even with reactor grade plutonium. In addition, it would be straight forward – especially for the South Koreans and Canadians, because they have a number of “CANDU” heavy water moderated reactors – to make weapons grade plutonium, but they don’t do so. In not doing so, they are making a moral choice, one that demonstrates that they have a huge amount of common sense and don’t want to spend huge amounts of money preparing for a war that neither they nor any putative opponent can win. Speaking of “could” and “is” Kessler notes that neptunium is one nuclear material that is relatively impossible to denature, as neptunium has only one long lived isotope, 237Np, a precursor of 238Pu. Neptunium, he states “could” be used as a nuclear weapon material. It has, he states, a bare sphere critical mass of 57 kg that can be reduced with a beryllium reflector to 45 kg. Given the high density of actinides, this is certainly a feasible, if less than practical, material for use in constructing a nuclear weapon. Thus he advises against large inventories of purified samples of this element. He cites a reference14 that estimates that the world inventory of the isolated element – mostly contained in used nuclear fuel – is on the order of 90MT and suggests that we transmute it. I agree, although I am less concerned with the minor risk of nuclear war and am more concerned with the major risk to the atmosphere. At this point someone who hates the possibility of nuclear war (or is highly invested in generating fantasies about putative nuclear wars or nuclear terrorist events) and less interested in the ongoing reality of massive death and destruction from the continuous use of dangerous fossil fuels and generation of deadly fossil fuel waste, that the extant neptunium is “enough” to make more than 1500 nuclear weapons. Those who spew such garbage will, of course, fail to note that neptunium has been isolated and transmuted into 238Pu for decades without observing even one nuclear war resulting. In fact, the stuff that powered the Galileo mission to Jupiter, the Voyager missions to all of the outer planets, several Apollo missions, the Cassini mission, the Mars Odyssey mission that is now tooling around on Mars, as well as sundry other devices, including pacemakers placed near the hearts of human beings, was all obtained by transmuting isolated neptunium into 238Pu. The number of nuclear wars that resulted from this practice is zero, and the number of people killed by such putative nuclear wars is also zero, a number that is infinitely smaller than the number of people who will die in the next hour from air pollution, about 380 human beings. I note that instead of making nuclear weapons, the very same neptunium, just as well, could be utilized to denature, via transmutation into 238Pu, all of the weapons grade plutonium that now exists on the planet. The question of what to do with the weapons grade plutonium and neptunium – both of which exist – is a moral choice, no different than the choice to refine petroleum to make gasoline for lawn mowers or to refine it to make napalm and jet fuel for the purpose of delivering flaming napalm to cities. 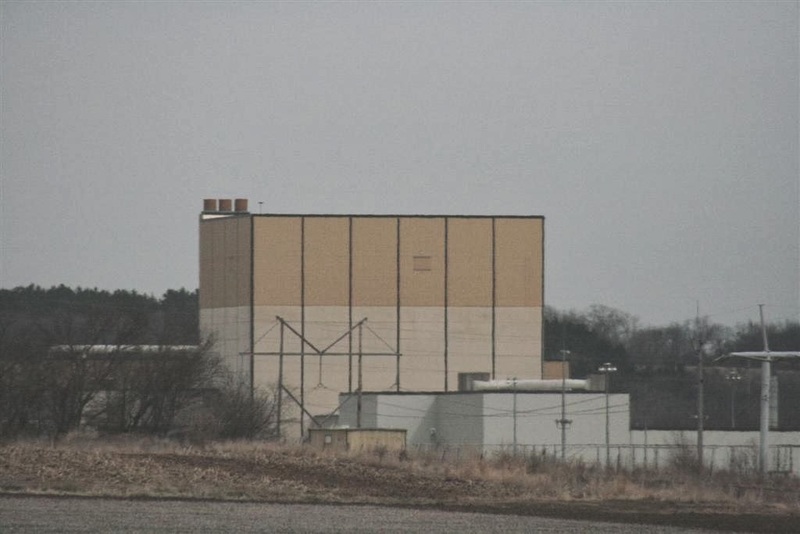 Kessler points out in the paper, that the use of such a scheme to denature reactor grade plutonium with 238Pu will require advanced chemical reprocessing schemes that do not rely – as traditional (Purex) reprocessing does – on solvent extraction. To my mind, many of these schemes already exist, one of my favorites being the fluoride volatility method, which can be used not only in the much discussed liquid fluoride thorium reactor (LTFR) but with used oxide fuels as well. In these schemes, plutonium, neptunium, and uranium are distilled out of fuel mixtures dissolved in appropriate molten salts – the presence of heat generating isotopes is ideal for this process - as the hexafluorides. The chemical stability of these fluorides is in the following order UF6 > NpF6 > PuF6. The equilibrium lies far to the right. A similar reaction can be utilized wherein plutonium is substituted (or partially substituted) by Neptunium. UOF4 might conveniently be obtained, currently, by partial hydrolysis of the huge stockpiles of depleted UF6 left over from traditional enrichment programs. Indeed, by incorporation of thorium into this mix, along with 239Pu, “once through” uranium from low enriched uranium obtained from used nuclear fuel, neptunium, depleted uranium, and americium, one can show that with appropriate balancing, one can eliminate the requirement of all enrichment facilities, said facilities, as the Iran controversy has obviated, representing the main approach to converting natural uranium and electricity into weapons grade uranium. While, again, it is impossible in theory to prevent the use of said technology for nefarious purposes, the fact that it would not be required for peaceful purposes would obviously have the desired effect of reducing the probability of nuclear war, although said probability has never been, is not, and never will be zero. I also note that in many of the proposed schemes for burying the valuable constituents of used nuclear fuel for eternity – schemes I regard as silly and wasteful – americium and neptunium dominate the radiotoxicity of the residues after a few hundred years. Utilized in the preparation of 238Pu – a process in which some portion will be directly fissioned and converted to clean energy – there is no need to bury them at all. I noted that the CANDU type heavy water reactor can be and perhaps has been (in India and Pakistan) utilized to make weapons grade plutonium. Equally well it can be made to make plutonium and even uranium that are denatured as to be far less suitable for nuclear weapons manufacture than natural uranium is. A recent paper by Isreali scientists16, building on the work of Kessler, discusses this fact in some detail, utilizing sophisticated burn-up calculations to evaluate various admixtures of plutonium and uranium with either or both neptunium and americium fractions within them. However, as written, there’s a pretty big drawback to this approach. Anyone who may be familiar with my ramblings around the internet will know that I am very fond, owing to their high neutron efficiency, of CANDU reactors, although one can easily imagine hundreds of types of better reactors that might be but haven’t been built. But among existing commercialized reactors, the CANDU (HWR) is pretty damn good, but its drawback – low burn-up – would only be exacerbated by the scheme in reference 14. “Burn-up” is a measure of how much energy is extracted from the actinide metals in nuclear fuel before it must be removed from the reactor and either stored or reprocessed. A particularly convoluted unit of energy called a MWd or Megawatt-day is used to describe burnup; it is the equivalent of 86.4 billion joules. In nuclear parlance, burn-up for any type of nuclear reactor is often given in terms of MWd/MT, megawatt-day per metric ton of heavy metal. This unit might be thought of as “gas mileage” on a nuclear reactor. A typical light water reactor – not a CANDU – might have a burn-up around 40,000 MWd/ton or more, which means that in this case one ton of enriched uranium produces as much energy as 80 thousand tons of oil. A CANDU can use natural uranium with no enrichment, although in practice the uranium in them is very slightly enriched, but as a result a typical burn up is only on the order of 9000 MWd/ton. This means that for a given amount of energy produced more uranium must be used than in a light water reactor. The scheme proposed in reference 15 further erodes this efficiency, reducing it to around 6000 MWd/ton. However the situation is not quite hopeless: The authors in this reference choose a fuel of a particular composition that is fueled by natural uranium with no enrichment, and no plutonium with the only transuranium elements being neptunium and americium. By itself the 237Np isotope is potentially a weapons grade material, although with a value of 57 +/- 4 kg for its critical mass, it is not practical. On the other hand, the critical mass of 241Am is ≈34 to 45 kg. With the heat production of 114W/kg, we have a heat source of 3.9 to5.1 kW for the critical mass, which makes 241Am unsuitable for weapons, and as a result, it is a non-proliferating material. By contrast, there is an Indian paper17 that speaks of CANDU’s with burn-ups that are not only as high as those obtained in light water reactors, but are actually higher, approaching 60,000 MWd/ton. The fuels analyzed herein are not natural uranium, but rather contain various arrays of plutonium, thorium, enriched uranium and the synthetic uranium isotope prepared from natural thorium, 232Th – an element of which India has huge reserves – 233U. (The Indians are well ahead of the rest of the world in advancing the 232Th/233U fuel cycle, but to kick it off, they recognize that they’ll need a healthy dollop of plutonium.) 233U is the only nuclide that can operate under thermal conditions as a “breeder,” a breeder being a nuclide that has the potential to produce more fissionable material than it consumes. (241Pu is an excellent breeder under epithermal – and fast - conditions, and 239Pu is a breeder under “fast” conditions.) Fuels of various compositions as well as fuel bundle arrangements are considered, but there is no mention of either americium or neptunium. But consider a heavy reactor that had not a ternary fuel composition – various compositions and arrays of uranium, thorium and plutonium – but instead had a quaternary arrangement with either americium or neptunium – or a composition consisting of all five elements. Instead of natural uranium, let’s consider that the uranium was obtained from used nuclear fuel from thermal reactors – these can already be used directly to fuel CANDUs in a fuel cycle called the “DUPIC cycle - since this composition would be slightly enriched and would also contain the synthetic isotope 236U. Without doing sophisticated analysis, I am sure that such a reactor could be operated and designed so as to produce a reasonably high burn-up. How would the fuel emerge? It would actually contain on removal 8 actinide elements, protactinium (formed from thorium) two isotopes 231 and 233, thorium that was more radioactive than natural thorium since it would have isotopes 228, 229, 230 – three that favor the formation of additional 232U in additional recycles of the same thorium - as well as the natural occurring thorium isotope, 232Th, uranium with six isotopes, 232, 233, 234, 235, 236, and 238, neptunium, plutonium with six isotopes, 238, 239, 240, 241, 242 and even traces of 244, americium with three isotopes, 241, 242m, 243, and curium with three or more isotopes, including the very hot isotope 242. I assure you that the use of this material for nuclear weapons would prove so difficult that even the most advanced nuclear technology state would abjure it, never mind the “terrorists” and others that anti-nukes are always dreaming up in their rich and toxic imaginations while, with no imagination required, the world is literally choking to death on dangerous fossil fuel waste. What is most interesting is that the uranium in this case, as opposed to the trillion ton quantities of natural uranium in earth’s mantle, crust and oceans, would be denatured, and that in this case, any attempt to isolate any single isotope by gaseous diffusion or centrifuge methods would be dangerous and so difficult that it would perforce fail. The same would be true of the plutonium, which would also be generating significant heat, making it problematic to handle. The plutonium so produced could, of course, be mixed with “weapons grade” plutonium to make it instantaneously denatured, or as an alternative, the “weapons grade” plutonium could be the initial loading of plutonium and be denatured in process. What’s more world regulatory authorities could insist upon the denaturing any inventory of uranium isolated from natural sources and thus make the use of natural uranium more problematic than it was in the early 1940’s. We refer to the isotopic composition of actinide elements as “vectors,” vectors being of course, the simple mathematical constructs of ordered arrays. There is no doubt in my mind that, given the development of very sophisticated computational scientific tools we now possess in the human race, that we can deliberately construct actinide vectors having any components we wish them to have, via the choice of the initial composition and the type of nuclear reactor we utilize, including many such vectors that are directly possible to use in recycled fuel without appeal to any enrichment technologies at all. This, of course, means that we can further reduce the probability of nuclear war. Note that above, the appeal to the CANDU type reactor is merely an example of the types of reactors that we might use in such a scheme. Some of the so called “Generation IV” reactors, as well as reactors that already exist, would be well suited for further refinements of these techniques, and of course, one can imagine all sorts of hybrid or novel reactor types that can add refinements to this technology. It is claimed that after three recycles, plutonium must be fissioned in fast reactors to provide suitable saftey margins (in existing types of thermal reactors), but this is no matter. Although the liquid sodium metal fast reactors have not been successes, many other fast reactor types can easily be constructed, particularly those using other metals. Using the approaches described above, would nuclear war thus be impossible? No, as I stated at the outset of this long argument. Nuclear war will never be impossible; it is not impossible now and it never was impossible. But would it be less probable? And that’s the best we can do, until we teach ourselves to abjure not just nuclear war, but all war, because the problem is not uranium, nor plutonium, nor jet fuel, nor nitroglycerin, nor poison gas, or any warlike application of chemistry, nor, for that matter, guns, sticks, nor spears nor rocks. The problem is war itself. The problem is the moral choice we make about whether to use those tools we have invented either for conducting war or rather for constructing and enjoying peace. Thus the real advantage of the whole process herein described is not merely to guard against ourselves but also to claim clean energy, air free of pollutants, water without oil slicks and the like, few or no energy mines or wells of any type – the already mined depleted uranium in the United States alone is enough to supply the entire energy demand of all of humanity for almost a century if converted to plutonium - and so enjoying such benefits, allowing ourselves to become more of a race of human beings rich enough, safe enough, to do the great things that humans can do, make art, develop science and share in the love of each other and the love of the world with which we’ve been blessed. This too – whether we undertake such a course – is nothing more than a choice, ideally one made rationally. Matthew G. Jackson, Richard W. Carlson, Mark D. Kurz, Pamela D. Kempton, Don Francis & Jerzy Blusztajn Nature, Vol 466, pp 853-858, (2010). Hiroaki Egawa,' Nalan Kabay, Akinori Jyo, Masaki Hirono, and Taketomi ShutoInd. Eng. Chem. Res. 1994,33, 657-661 This paper is the 15th in a series of papers written by the Egawa group at Kumamoto University in Kumamoto, Japan between the late 1980’s and early 1990’s on the capture of uranium from seawater. In this series polymer bound amidoxime groups were used to complex uranium in seawater and surrogate matrices. The amidoxime moiety has been investigated in a large number of systems. Manolis. J. Manos and Mercouri G. Kanatzidis* J. Am. Chem. Soc. 2012, 134, 16441−16446 This paper refers to an inorganic species, a complex potassium manganese tin sulfide, that is said to capture uranium from seawater. Remy Sellin, Spiro D. Alexandratos Ind. Eng. Chem. Res. 2013, 52, 11792−11797 This is the most recent paper available to my knowledge as of this writing (August 25, 2013), and is found in the current issue of the cited journal. The authors claim a recovery rate of uranium from seawater that is 7 fold greater than the more widely investigated amidoxime based resins. The resin described here is amine based and on inspection of the structure, it would seem that the resin could be also be useful to the capture of carbon dioxide, although many similar examples, probably all of which better for that purpose have been explored in recent decades. Lingfeng Rao, LBNL-4034E (2010) “Recent International R&D Activities in the Extraction of Uranium from Seawater” The paper contains a photograph of the apparatus used to collect a kilogram of uranium from the ocean buoy. Robert Serber, Los Alamos Primer (1943). Also available in print, copyright 1992 from the University of California Press with a foreword by Richard Rhodes. Fukuda, K., 2004. IAEA Scenario of MA Transmutation in LWR COES-INES Topical Forum on Protected Plutonium Utilization for Peace and Sustainable Prosperity. Tokyo Institute of Technology. N Nadir is a well-known blogger about energy: for a long time, he blogged at Daily Kos. A few years ago, Charles Barton of Nuclear Green described and listed many of his posts. This post was also seen recently on Atomic Insights blog (Rod Adams blog) where it has a very interesting comment stream. On Sunday, the Valley News published my op-ed Yankee's Closing Will Hurt Vermont. I always enjoy having an op-ed in the my local Sunday paper. I hope you read it. It's about the probable effects on Vermont when Vermont Yankee closes. Vermont Yankee’s closing will affect everyone in Vermont. It will make our electricity more expensive, more fossil-fuel based and less reliable. The plant will not be replaced by renewables. Wind turbine construction in Vermont is practically at a standstill, for example. Our power will come from outside Vermont, and be subject to various sorts of interruption, including too few natural gas supply lines, ice storms, and HydroQuebec needing to use its electricity in Quebec during a cold snap. The electricity price will follow the grid price of natural gas. According to FERC, the New England price of natural gas is set to rise substantially (from $6.60 MMBTU to $11.75 MMBTU). In the rest of the country, the price of natural gas is set to remain stable. Grid payments of $75 million to oil-burning plants (the ISO-NE Winter Reliability Program) will be rolled into our electricity costs. What About the People at Vermont Yankee? Several people asked me why I didn't mention the people at Vermont Yankee, the effect of the plant closing on the local economy, the effect on the state economy, the effect on the state taxes? There's a simple reason. I live about sixty miles north of the plant, and I think people in this area don't care very much about southern Vermont. 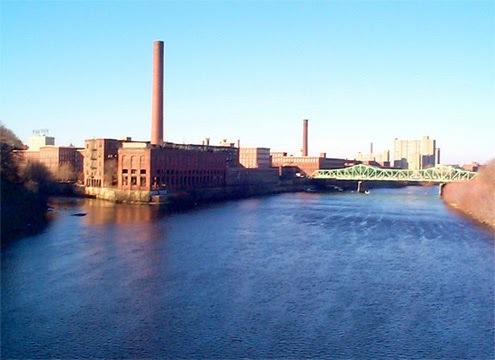 People here generally commute across the bridge to New Hampshire, where they work at Dartmouth College, Dartmouth Medical Center, and many high-tech industries spawned by Dartmouth (for example, HyperTherm). People here care where their electricity comes from. They care about reliability and about environmental impact. They care somewhat about their electric bills. My own feeling is people here don't care that much about what happens to Brattleboro or Vernon. They are insulated from many aspects of the Vermont economy through their jobs in New Hampshire. Therefore, for my local paper, I wrote about things that affect all of Vermont: where our electricity comes from, how reliable it is, how fossil fuels will be used to produce our electricity, and how expensive electricity may become. For an op-ed, Yankee's Closing Will Hurt Vermont was very data-dense! Sometimes I wondered--where was the "opinion" part? Why did I write it this way? Still, it was fun to write, and I plan to reprint it on this blog in a week or so. However, I always like to have people access the op-ed at the newspaper for a few days before I begin putting it on my own blog. I hope you enjoy the article. P.S. Just came across an article in a Boston business journal which says that Boston should expect a 20% percent price rise in electricity this winter, for some of the same reasons I discussed for expecting price rises in Vermont. Late last month, I wrote about my sorrow at Vermont Yankee closing in the post We are not Spock: Emotion and Nuclear Power, published at ANS Nuclear Cafe. There were very insightful comments on that post, and they deserved further discussion. I obtained permission to use some of these comments as guest posts on my own blog. This comment is by John Alan Rodericks. Thank you for this well-written and thoughtful post. I view this conversion of decom money to cash flow as THE issue of the future in this post-deregulated electric power generation world — an unintended consequence of an ill-conceived plan. 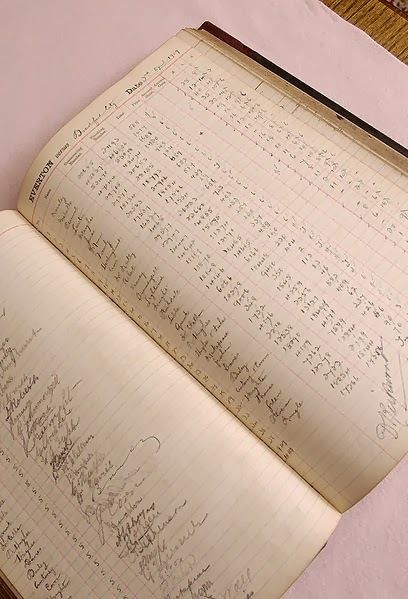 As such, it echoes the theme that is prevailing in the electric power industry at this time… what was once the domicile of engineers is now the domain of accountants. My estimates are that it will cost about $500-700 million to replace VY’s megawatts with a highly efficient gas-fired 2-and-1 combined cycle plant that will be dispatchable in much less time and have a much smaller staff (assuming they can get the needed natural gas capacity). However, this will come at the expense of fuel diversity and proper market function as margin prices become easier to manipulate thorough strategic and calculated fuel hedging. Pilgrim likely will not be far behind. New England could well find itself in a mess and it will be too late to do anything about it. I have worked in electric power generation for 32 years with (former) Cambridge Electric Light Co. as a plant operator.... Although I have never worked in nuclear, I've read extensively about it and have a number of friends who have been in nukes for many years. I am disturbed by the trend which is developing in New England, despite the advent of supposedly abundant shale gas. In my time I've seen cycles play out, and view this as just another one. I hope for a more thoughtful discussion about nuclear going forward, although Vermont Yankee seems like fait accompli. We must learn the lesson from it. Dr. Jerry Cuttler is a distinguished nuclear scientist with a life-long interest in dose-response curves. Recently, he emailed some people (including me) links to research about Alzheimer's. Researchers are investigating the use of radiation treatments for Alzheimer's disease. This research is very recent---as I understand it, the academic papers are still wending their way through various review processes. Full disclosure: the results shown in this presentation are still a long way from being tested in humans. Second full disclosure: the results shown here seem very hopeful to me, and that's why I wanted to share them as a Friday video. The researchers took mice that had been bred to develop Alzheimer's. The mice developed Alzheimer's, with its characteristic plaques. Researchers irradiated half of each mouse brain...and watched the plaques shrink substantially! They irradiated half the mouse brain because the extent of the plaques varied so much between one mouse and another. Because of this variability, comparisons between mice would have been a very poor research method. With this method, one half of the mouse brain served as the "control." Here's the video. Cuttler sent links to two other videos on this subject. These videos are shorter and show actual mice and actual researchers (not presentation slides). I encourage you to watch them. Most people rarely hear anything about the peaceful uses of radiation, how nuclear technologies improve our lives, or any advances in nuclear medicine. Here is something hopeful. A hat tip to ANS Nuclear Cafe. This is a nuclear matinee. The idea for a Friday matinee is stolen from ANS Nuclear Cafe: it often shows a video on Fridays. A recent video showed the Tour de France---well, no, not really. The video showed the "Tour de Reactor Vessel through France": The Journey of the Flamanville Reactor Vessel. To see more great nuclear videos, go to the ANS Nuclear Cafe blog and search on matinee. I think the most immediate threat to clean nuclear electricity generation, right now, is not anti-nuke protests, nor corporate indifference, but state “Renewable” Energy Mandates. The clause in the states’ RE mandates which require that “RE” be taken on the grid in preference to other energy sources is the greatest danger to affordable base load generators, and to the whole institution of reliable, affordable electricity for the consumer. This is how it works. When wind or solar generation start supplying 10% – 15% of total electricity, their theoretical generating capacity is much higher because they have capacity factors of about 20%. So wind installations which supply 15% of the energy needed in a year, have a name-place generating capacity of 75% of the power needed at any given time. 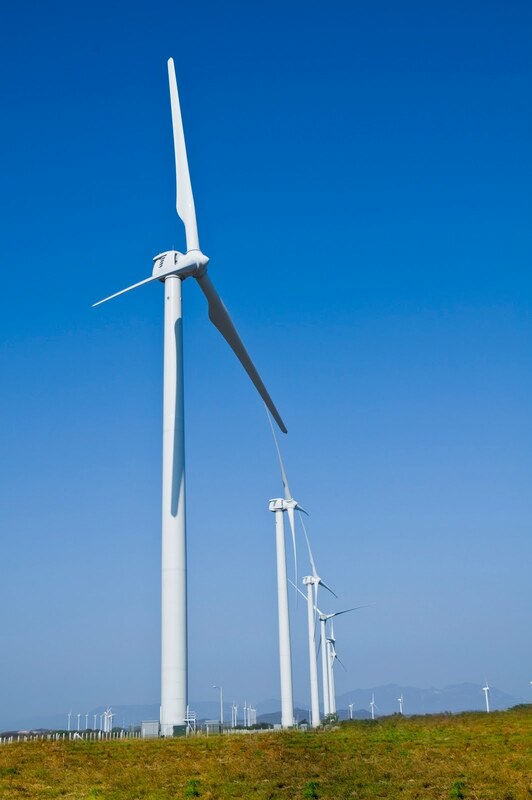 They don’t generate 75% of the energy because the wind mostly doesn’t blow. But, fairly frequently, for brief periods, those wind installations, which can only supply 15% of yearly energy needs, will all get good wind, and then, they’ll generate 75% of the power the grid needs. When that happens, for that brief period, the RE Mandate requires that steady, constant, reliable generators, such as nuclear shut down or otherwise stop generating. Shutting down and starting up again are expensive and even damaging for base load generators. Now, this might be an okay situation: why not drive the inflexible base load off the grid? But the grid cannot do without the base load. Because, most of the time, the wind isn’t supplying 75% of the power. A lot of the time, it’s not even supplying 15%. That’s just what it averages out to over the year. So the grid cannot do without steady, reliable, affordable generators, but it could do quite nicely without expensive intermittent wind and solar. Yet, state legislated RE Mandates are pushing the necessary and affordable base-load off the grid. I cannot think of a single piece of legislation better designed to drive up the cost of electricity and drive away grid reliability, even if I was legislating from scratch. “RE” Mandates are the enemy of the consumer. The problem is that the connection is subtle and the public still believes that RE Mandates exist to benefit them and the environment. The truth is, that RE Mandates, combined with the recent “privatizing” of grids and generating capacity, are designed to drive out grid reliability and drive up energy costs for all consumers. Given public perception, the goal should be to modify RE Mandates, so that “RE” does not receive priority on the grid; sell this as “proving” RE maturity, and get nuclear electricity generation included in the definition of “Renewable Energy”. Repealing them entirely is probably impossible. The true opponent in the near and short term is the requirement in RE Mandates that intermittent sources be given priority on the grid. Changing that should be the single most immediate target of pro-nuclear activists. Public opinion about nuclear, and the NRC regulatory framework matter almost not at all, when existing nuclear generation can be driven off the grid by this single point of legislation and a small percentage of Unreliables penetration. Late last month, I wrote about my sorrow at Vermont Yankee closing in the post We are not Spock: Emotion and Nuclear Power, published at ANS Nuclear Cafe. There were very insightful comments on that post. I obtained permission to use some of these comments as guest posts on my own blog. Jeff Walther possesses two B.S. degrees in engineering: aerospace and electrical. He also holds a J.D. degree and is licensed to practice law in Texas. All his degrees are from the University of Texas at Austin. He used to work as an aerospace engineer, and currently is an electrical engineer at a medium-size start-up. 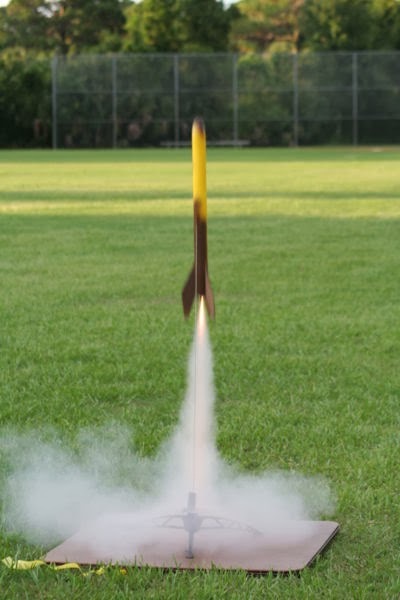 Walther describes his leisure activities as follows: "On the weekends, when I'm not coaching one of my son's baseball games, I try to make it out to Hutto, TX for one of the Austin Area Rocketry Group's rocket launches." On my latest post, a comment posed a very important question about training at nuclear plants. 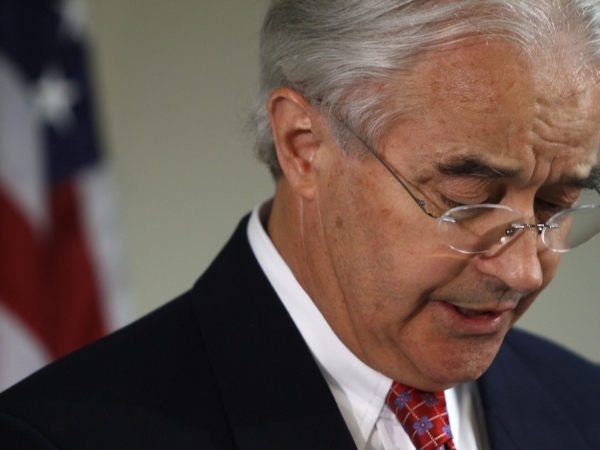 Specifically, the comment raised questions about the future for people at Vermont Yankee. Everyone even me is saddened about the loss of VY and that it is impossible to restart a shut down nuclear plant. One reason is because to keep the license, all the operators have to have continuous training. Why couldn't operators train at another reactor of the same brand? If the NRC won't allow that, why doesn't the industry try to change that? Entergy, for example, must have another GE reactor of theirs....Also, I read that a license is plant specific. Why is that? Why can it not go by maybe brand? That is like you get a drivers license but you can only drive 1 car. Again, why did the industry let that happen? Why is your industry taking this closures "lying down"? There's an old saying that France has one variety of nuclear plant and 100 varieties of cheese, while America has one variety of cheese and 100 varieties of nuclear plants. That is the main problem. Even "sister" reactors are not totally alike. Though being a qualified operator on one reactor definitely gives you a leg up on being qualified on a similar reactor, you still have to go through a lot of training for that second reactor. I was at EPRI during part of the ten years just after TMI. At that time, reactor training went from "generic" to very plant-specific simulators. This was a Good Thing for training and safety. That said, airplane pilots face this problem of the "new plant" all the time. (For a while, my husband worked at a company that did software for airplane simulators.) Anyhow, for a pilot qualified on a 727, after a certain number of hours in the simulator for a 737--that pilot can get into the cockpit of a 737, with passengers in the plane behind him. It would be good if the nuclear industry had something similar. People get too locked into their jobs IMHO. Maybe the nuclear industry does have this....as I say, I don't work in a plant and I am not an expert on nuclear simulator training. However, you make a good point that such operator flexibility would be good for the industry. I encourage people who work at nuclear plants to enter this conversation. nuclear plant. I don't know how easy or hard it is to do this. I would think a plant chemist would need almost no re-training, but an SRO might need months or years of training to qualify at a new plant. But I really don't know. I hope knowledgeable people will comment on this post. Also, if as a nuclear worker, you moved between plants in the past, it would be great if you could comment on this post. Pandora's Promise on CNN Tonight--Enjoy It!